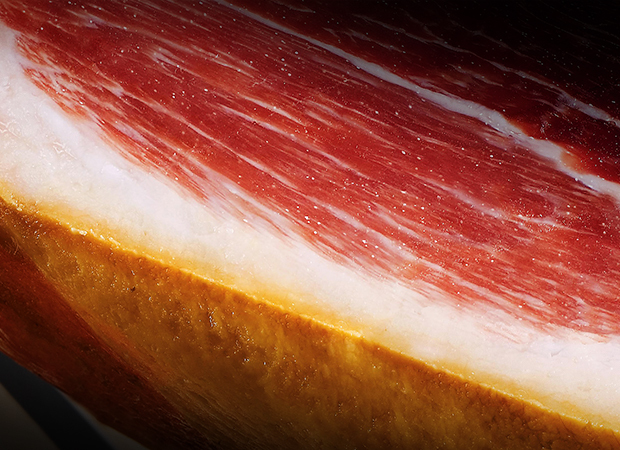 Ham is one of the leading Spanish products in the Mediterranean diet and is an authentic marker of Spanish identity, with a long history of its production. 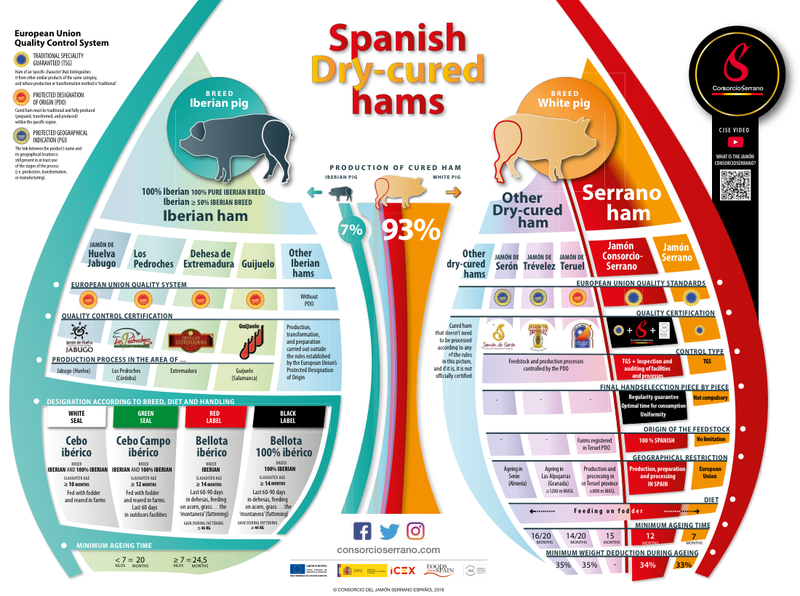 There is a wide variety of cured hams in Spain. 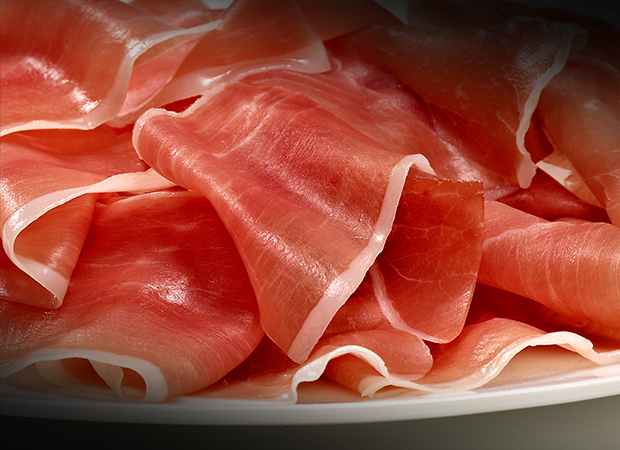 Cured ham occupies an important place in Spanish and European cuisine. Different types of Spanish cured ham exist depending on the pig’s lineage and diet as well as the maturing process.We distinguish ham cured from white pigs (cured ham, Serrano ham and Consorcio Serrano ham) and ham cured from Iberico pigs (Iberico ham, also known as pata negra ham). Pig Breed Normally Duroc, Pietrain, Landrace, or Large White. Iberian pig. Breeding and raising are now restricted to the West and Southwest of Spain. Pig Feeding Feed mostly composed of grains. Feed mostly composed of grains. In some cases, this diet is combined with natural feeding during the montanera season (roughly October to February) on acorns, grass and general fodder. Ham maduration Consorcio Serrano minimum 12 months. Cured Ham: less than 7 months. No certification. TSG: minimum 7 months. Between 14 and 36 months, approximately. 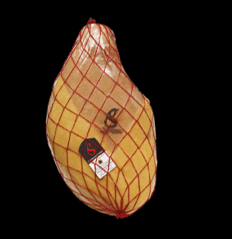 Ham of “specific character” that distinguishes it from other similar products of the same category and its production or transformation method is “traditional”. The link of the name of the product with the geographical location is still present in at least one of the stages of production, transformation or processing. The cured ham must be traditional and manufactured entirely (prepared, processed and produced) within the specific region. 100% Iberico 100%, Pure Iberico Breed: Iberico≥ 50% Iberico Breed. Minimum maturing period: <7 kg = 20 months / ≥7 kg = 24,5 months. Fed on animal feed and reared indoors. 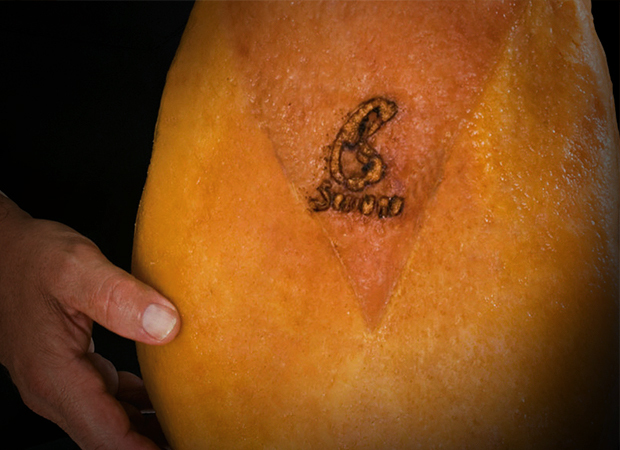 There are 4 formats for presentation of Consorcio Serrano Ham: whole, en bloc, boned and sliced. Whole Serrano ham is the traditional Spanish format. Its origin is due to the fact that, after the sacrifice, hams were hung in the house sobrao or cellar to be cured in the open air, in which case it was more practical to do so without taking off the foot/hoof. 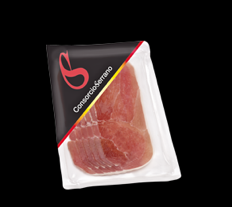 As the years went on, this type has made way for other presentations in accordance with retail services for the purpose of being able to quickly cut and serve slices of Serrano ham slices. Of special importance is boned Serrano ham, which facilitates transportation and slicing in the deli. 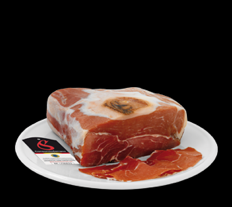 Boned Serrano ham is widely accepted in international market. Boned (en bloc, no bone) and sliced Consorcio Serrano Ham are the formats currently experiencing the greatest growth because they are profitable, versatile and reduce the need for handling. These are Serrano ham presentation formats that have moved away from whole pieces and have been subjected to a procedure called deshuese. All boned Consorcio Serrano Ham goes through a packaging process. In addition, it should be stored and transported at a controlled temperature to guarantee its correct conservation and avoid exposure to microbes during handling. 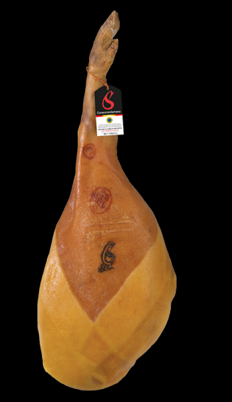 Spanish cuisine is delicious, extensive, and includes a wide variety of Spanish products typical of each area; among these is Consorcio Serrano Ham. It is one of the main ingredients in Spanish cooking, like Prosciutto di Parma and San Daniele in Italy, Bayonne Ham in France (or Black Forest Ham in Germany). These four cured ham varietals spread throughout different points of European geography are very different from each other. The following table presents the main characteristics of each. Elaboration process Minimum of 12 up to 24 months. Not smoked. Use of salt Hams are covered entirely. 6 to 15 days. Most common formats With the foot and the skin cut in a V shape (also boned). Texture, Colour and Flavour Lower humidity content. More consistent texture. Intramuscular fat. Purple colour. Intense flavour. Elaboration process Between 12 and 18 months. Not smoked. Use of salt Superficially. 20 to 30 days. Most common formats Without the foot, with the skin (also boned). Texture, Colour and Flavour Higher humidity content. Softer texture. Less intramuscular fat. Rosy colour. Mild flavour. Elaboration process Between 7 and 12 months. Not smoked. Elaboration process From one to two months. Raw smoked ham. Use of salt Salted in brine for two weeks. Texture, Colour and Flavour Red colour, smoky flavour. What is the difference between Serrano ham and prosciutto? Let’s start with geographic location; prosciutto is a traditionally Italian product, with a spotlight on Prosciutto di Parma and Prosciutto di San Daniele. On the other hand, Serrano ham is a Spanish product which shares its geographical origin with another well-known cured ham: Iberian ham (jamón ibérico), also known as pata negra ham. Another point to keep in mind is maturation. 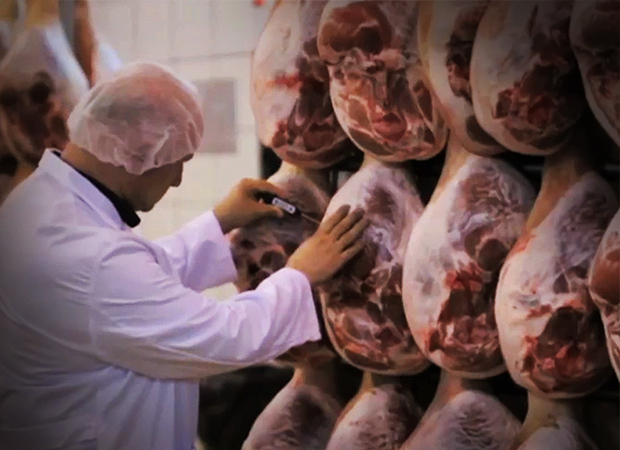 Maturation time and process determine the quality, texture and organoleptic qualities of the ham. 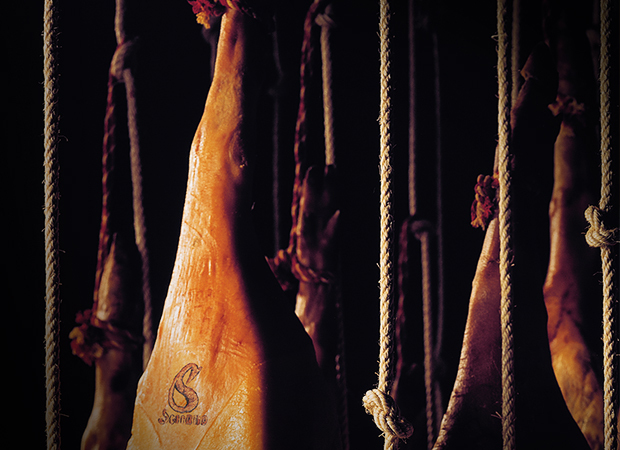 Not all Serrano ham, nor prosciutto, goes through the same process nor has the same time of maturation. 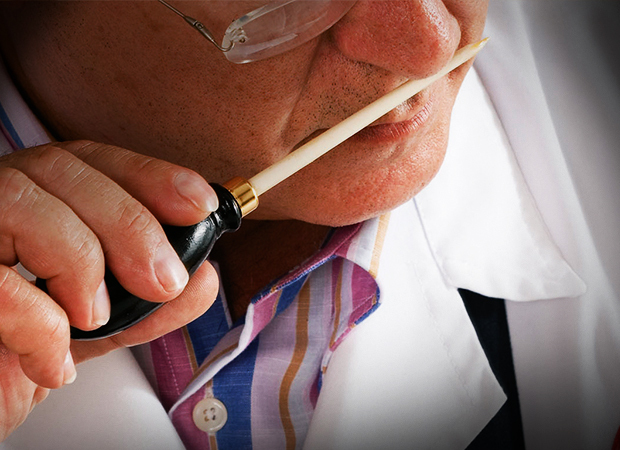 This maturation process can vary from 9 months to two years, ideally in a curing room in contact with the open air. 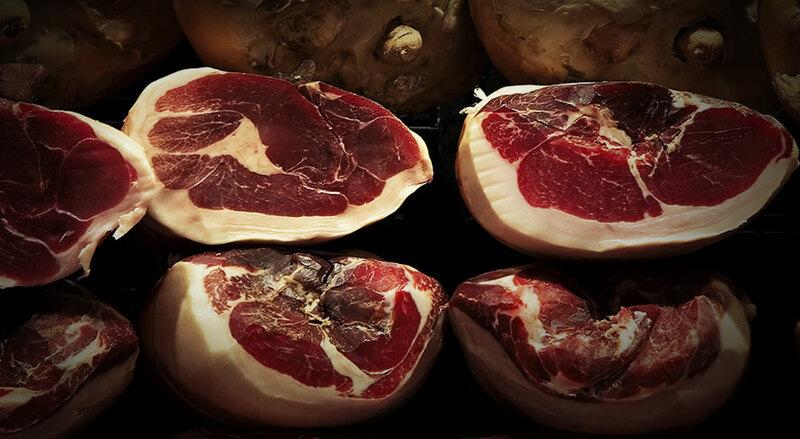 Traditionally, Italian cuisine has given more emphasis to prosciutto in its dishes than Spanish cuisine has to Serrano ham, which is a higher-quality food product in general. But in addition, nowadays you can find classic combinations of prosciutto with pasta, pizza, fruit, brochettes; there is also an extensive culture of Spanish cooking recipes with Serrano ham. In Spain, Serrano ham has traditionally been enjoyed as a side dish only with a good wine and bar tapas, although more and more it has been incorporated into various Spanish recipes, giving credence to the concept of “gourmet ham”.